Archery has been around for a very long time in one form or the other. In the primitive times, people used to hunt animals with bows and arrows. In modern times though, archery has become more of a sport. Before you can become a proper archer, one of the many things you will need to learn is to use a sight on a bow. This is a fairly easy task and can be mastered with some practise. The first thing you will need to realise in order to effectively use a bow sight is that there is a wide variety of bow sights available in the market today. Each bow sight works, adjusts and reacts differently from the other in a number of different aspects. 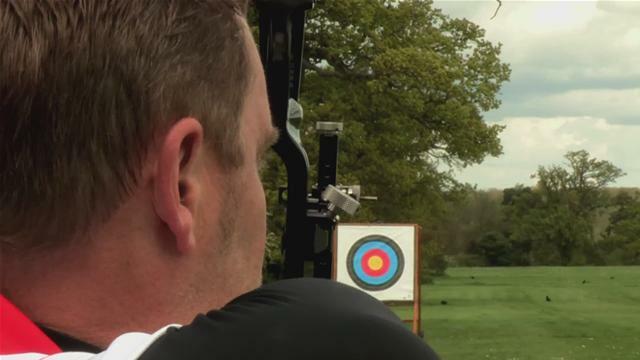 Determine the sight which suits your style of archery by testing out as many sights as possible. Even though you will have to spend a fair amount of time, this practice will prove really helpful at choosing the correct sight. It would be wise to select a bow sight and then stick to it. Distance between sight and the shooter’s eye along the bow also matters a lot. You will be at liberty to aim critically with a smaller dot and will get a better view of the target if you are using a sight installed on the farther side of the bow. On the other hand, sights that are installed close to the shooter are useful for long-distance shooting. Good quality bow sights are generally arranged around an aiming dot which in turn is enclosed in a frame or hood. On the other hand, ordinary sights come with one or multiple exposed pins. Different markings and pins directly correspond to different ranges. You will need to estimate the distance between the spot from where you are shooting and the target, if you are unsure. Determining the exact distance is critically important to get a clean shot at the target. Wear an archery arm guard and a pair of archery gloves and then shoot a series of arrows. In order to make necessary changes to the sight you are using, carefully observe the tendency of the arrows you shoot. If they are drifting to the right, adjust the sight to the right. The same holds true if arrows seem to be drifting towards the left. Shoot a few more arrows and readjust if required. Continue until you are feeling comfortable using the sight on your archery bow.